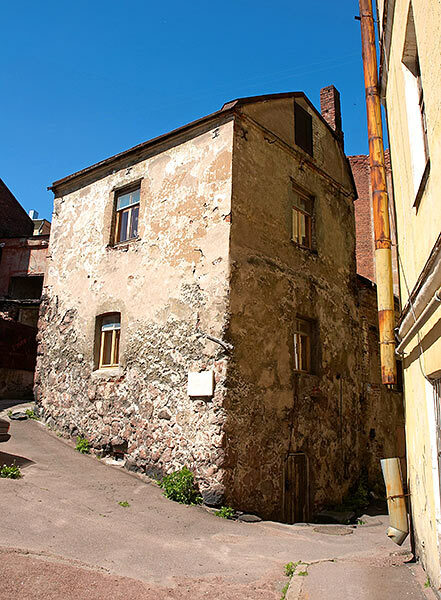 Typical view of the old part of downtown of Vyborg. 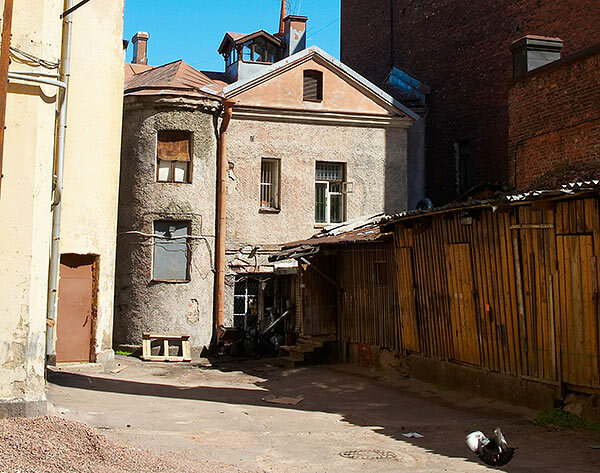 Ramshackle sheds, rusty roofs, walls of crumbling bricks, dovecotes - päivää, vanha Viipuri! (Hi, old Vyborg).